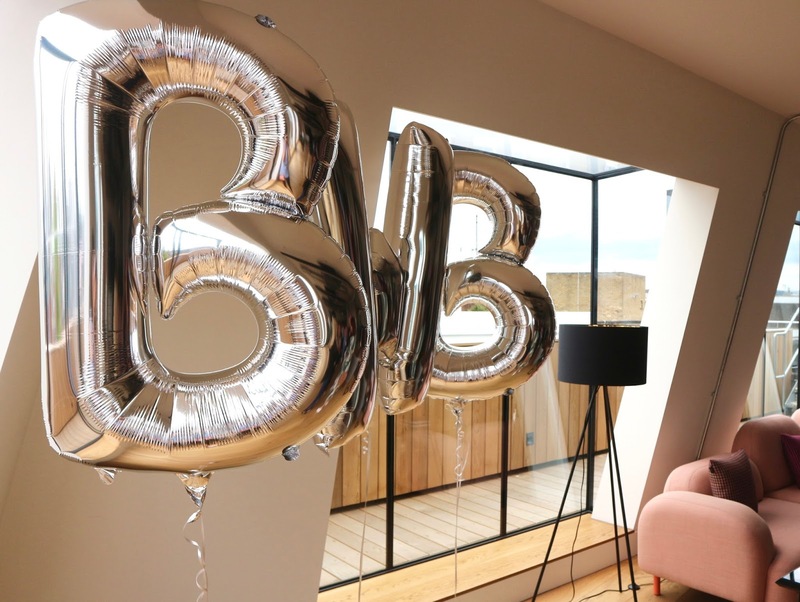 This weekend is The Bloggers Ball with Scarlett Events in London where 300 bloggers will network, drink fizz and if you're me, be as awkward and nervous as a kid on the first day of school. I'm a confident girl, I've been to a few events now and for Pete's sake I'm nearly 27 years old, but every bloggers event my little knee's knock together and I get the jitters. My 'Top Tips' if you like, are more the pep talk I give myself the morning of and I thought some of these could help you lovely lot if you're in need of a little encouragement to put yourselves out there. Well more or less. There is always going to be those godlike creatures who are never phased by anything but in my experience the second you share how nervous you are with someone they are feeling the exact same way. Of course its nerve wracking - we're internet folk. We chat away online, put our lives into blog posts and make friends over Instagram, so to be in a room full of people you kind of recognise, tweeted once or twice or hey, don't know from Adam, is a pretty bizarre situation to be in. As long as you know its totally normal to be nervous, then it makes it less debilitating and actually quite funny. Once you've had a laugh at yourself and the new mate you've made over how funny it is to be that nervous - shake it off. BE BOLD. You're now armed with the knowledge that no one in the room is 'better than you', everyone is as nervous, so why not change the narrative and just go for it? I find after 10 minutes of awkward smiles and hello's something clicks and i'll walk up to people I recognise and people I don't, and introduce myself, ask a hundred questions, make a rubbish joke. You're only going to be there once so don't waste the opportunity. The first blogging event I went to I grew my Instagram following by 30, and my Twitter by nearly 60 followers, in under 3 hours. Blogging event's can be amazing for increasing your stats, but more importantly for gaining quality over quantity. Think about it ; you've met Amy from 'Amy's Beauty Basket' and you got on really well, her blog is right up your street, her Insta feed is lush and she was an absolute babe. You know her that little bit more now and you're way more likely to like and comment on the content she creates. It works both ways. Yes people get to know you through your blog but once they've met you and you're a good lass, or if they haven't crossed online paths with you yet but you had a laugh at a cool event ; its a no brainer, they are going to engage. It can be really tempting if you know a few people at a blogging event to stay in your safe zone but I really recommend getting a bit uncomfortable and introducing yourself to as many new people as possible. Ok you are. As in literally attending the event on your own, but actually . . . you're not alone. Every event will be someone else's first, or an event where there friends couldn't make it so their turning up on their tod this time. 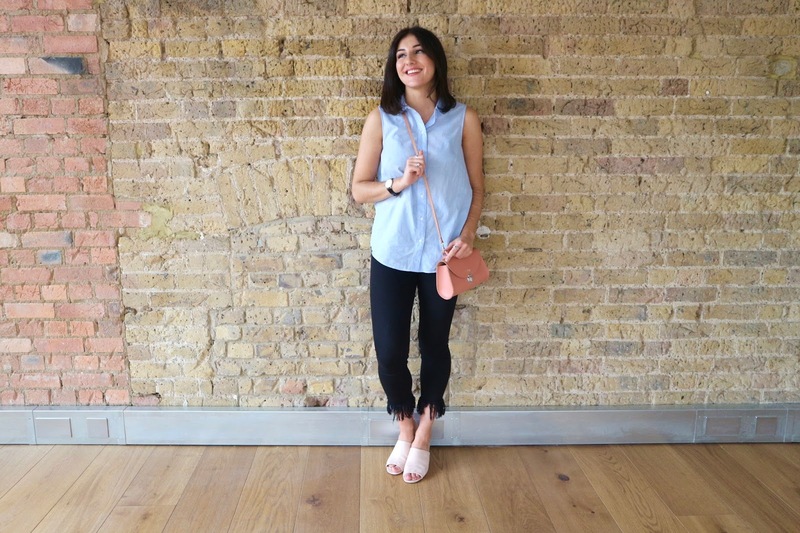 There is a common misconception that everyone has a blog squad and I'm going to be the saddo with no friends stood in the corner, but it's just not true. The second you buy your ticket get on Twitter, tag the company hosting the event, use their hashtag and do a shoutout for anyone who fancies meeting up pre-event. Ask who else in your network is going and shout from the rooftops 'I'm on my own/who's going/BE MY BLOGGER FRIEND' and I guarantee you there will be others in the same boat. Before I've even bought the ticket I'm worrying about what I'm going to wear, what will people think of me, will I be too dressed up, or more likely for me will I look like a right tramp?! I'm not a fashion blogger. Fashion and trend-lead style in general scares the bajeebas out of me so the vibe I always go for is casual/classic/smart and it always works a treat. I've seen a few girls in serious heels and the odd glam outfit but in general if you style your staple jean you'll be totally fine. My 'go to event outfit' lately is always centered around key accessories. At the Bloggers Who Brunch Launch Party in May I wore a blue shirt and black jeans with a pair of gorgeous Oasis mules. The star of the show was my MyBag.com Exclusive Mini Poppy Cambridge Satchel Bag - so many people commented on it and wanted to know where it was from that I could have been wearing a potato sack for all anyone would have cared. So what are you waiting for? Get on Twitter, get googling and find your nearest Bloggers event to test out my top tips. I'll be giving myself the usual pep talk this Saturday ahead of the Bloggers Ball where I will be doing an Insta-Story takeover on MyBag.com so make sure you're following their Instagram account to keep up with The Bloggers Ball and see inside the event for yourself. Plus, you know you want to see what I end up wearing right? *This post is NOT sponsored/Ad post. All items photographed were purchased by yours truly. I adore this! Needed this last week for the spp. As my first blog I ever discovered on my blog journey I hope I get to meet you on Saturday! Thank you so much for sharing these tips. On page optimization is an SEO technique to increase visibility and user traffic on a website accordingly. I never attend any blogger event in my life but will keep in mind your tips if I ever get chance to do so. The key to successful Website Marketing is to establish smaller goals to help get to that big goal you ultimately want to get to. You should follow proper steps to get success. Preparing to go to your first gathering and not certain what to bring to be readied? Prepare to peruse the fundamental rundown of what to convey to a conference. I find a very good website for the best Earn from blog, If you want you can visit this site. Internet marketing is the best way to increase the sales of your brand but in order to get the desired results you would need to use the best marketing platform. By using the platforms like PPC and top SMM websites your brand will likely attract the target audience. I am using Google Adwords Management for PPC ads and the outcome is way too good. Good topic, this is going to help a lot of people get the whole concept i would like to share Nexter this blog with you where you can check more news !! If you are in need of music marketing plans and ideas, you should take the help of a legitimate and reputed music marketing site like the Buy Plays Fast.